In this article we can explore how to update the JS Link of a Page using PowerShell. Open your SharePoint site and create a list from Tasks template. Name it as My Tasks as shown below. You will get the tasks list as shown below. Copy the URL of the list. We will need it in next step. Please note that we require the %20 also to denote space character. Now create a HelloWorld.js file and copy it to the Site Assets library. Now you can open the PowerShell ISE editor and add the following code. Change the Server URL appropriately & Run the code. If the code executed successfully, you got your page updated. You can verify the page update by opening page in edit mode. Go to the web part properties and you can see the JS link got updated there. This concludes JS Link updating using PowerShell. Please note that the preferred way of update is using CSOM code. In this way we can use the same code base for both SharePoint On-Premise & Online. In this article we have explored how to update the JS Link of Site using PowerShell. You can get the code as attachment. In this post we can explore how to enable SharePoint Designer for a site collection. SharePoint Designer can be locked due to multiple reasons. But, SharePoint Designer is required to customize pages, create custom workflows & lot of other quick tasks. If you are the Site Collection Administrator, you can enable SharePoint Designer as following. Open Site Settings Gear > Site Contents menu item. Click on the SharePoint Designer Settings link. You can click on the Enable SharePoint Designer checkbox item as shown below. If you cannot see the above option, you might need to check with Central Administration level for enabling the option. In this post we have explored how to enable SharePoint Designer for a site collection. In this post I would like to introduce you another great resource site by Microsoft Professionals. The Patterns and Practices was formed by Microsoft Consultants to share their Migration effort to O365. Following are the guidance areas which PnP are advantageous to the SharePoint community. In this article I would like to inform on the SharePoint Online Compatible Deployment tools and techniques. To understand the difference of SharePoint Online Compatible Deployment, let us refer back to our normal Farm Solution deployment. The last step would induce a problem! SharePoint Online does not allow Farm Solution Deployment. Now we have to think about an alternative solution? Following are the options used for SharePoint Online deployment. SharePoint PnP (Patterns & Practices) contains sample code for Remote Site Provisioning. For further control on provisioning, I would recommend creating your own Custom CSOM Console Application. Even for SharePoint On-Premise solutions, the above SharePoint Online Compatible Deployment is recommended as it can help a lot in future migration to SharePoint Online. In this article we have explored the SharePoint Online Compatible Deployment tools & techniques. In this article I would like to summarize the SharePoint Online Compatible Development Strategy which is picking speed in high profile organizations and also endorse by Microsoft. SharePoint Online provides easier Scalability compared with SharePoint On-Premises. But, the Data Security, Access while No-Internet are additional factors to be considered while moving to SharePoint Online. As denoted earlier, Client-Side Object Model is the preferred programming way for SharePoint Online. CSOM frees the server from running custom code. For complex coding or legacy systems, PHA approach can be added. In PHA (Provider-Hosted-App) the code resides in a different server. Here we can use C# CSOM methods. REST Services are the preferred approach for performing CRUD operations. If the solution requires custom business logic processing, additional WCF services can be used. REST is preferred approach while using Client side scripting. OData allows custom field filtering over results. Additionally, it allows sorting, paging operations too. REST combined with OData should cover the core business solution requirements. Custom Master Pages are not preferred in the SharePoint Online Compatible Development strategy. In the SharePoint Online version, using custom master pages prevents the page from automatic master page updates. SharePoint Composed Looks & Themes framework can be used to support basic functionalities of a custom master page. For advanced customizations, following approaches are preffered. Usually the publishing sites has to undergo Branding. Identifying these customer facing sites and applying customizations only to these will save lot of effort from development, implementation & maintenance. Collaboration Sites are usually meant for Internal Team Activities and can be freed from branding. Please refer the references for more information. In this article we have explored the SharePoint Online Compatible Development Strategies. I believe these ideas would require additional efforts in the short-run to save custom essay writing the extra-additional efforts I the long-run. Why Master Pages are not recommended? In this article we can explore the reasons of No Master Pages. 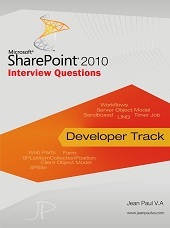 Please note that we are talking about SharePoint Online context. In the case of SharePoint Online, Microsoft will be pushing updates to existing master pages. So in this case, if you are using custom master pages, you won’t get the new updates. This will make your page act isolated from the rest. Take a note that, the above practice is recommended for SharePoint On-Premise too. The reason is that, in future if the SharePoint solution is migrated to SharePoint Online, there will be least code changes required. If we were using custom master pages, then during the upgrade time we have to remove the custom master pages and create JS injection pattern. This will be additional cost in the future. You can find more on the Patterns recommended for SharePoint Online using the References link. In this post we have explored the reason for No Master Pages. Although the pattern is recommended for SharePoint Online, this has been adapter to SharePoint On-Premise solutions as well. This makes us use the same solution work in SharePoint On-Premise & Online. The JS code will inject into respective event handlers. As the code is invoked during pre-render, we won’t see any flickering. In the real-worlds scenarios with high-quality standards: Yes! It is the case. Why no custom master pages? You can find the following link for more details. Now obviously you will ask: How to replace master pages? This also aligns with the Client-side rendering strategy. In this article we can explore about Minimal Download Strategy of SharePoint 2013. This is a technique used to optimize page rendering. We need to activate the site feature Minimal Download Strategy to achieve this. You can activate this feature from Site > Settings > Manage Site Features page. Once the feature is activated, the URL gets changed. You can see all the pages will be using start.aspx for rendering. The requested page will be passed after the #. 1. Speed Pages will load faster. 2. Less Bandwidth Less bandwidth will be used – good for tablets/mobiles with metered/slow connections. Each page will be divided into multiple sections. When a client requests a new page, the serve calculates the delta (changes). Only the changed sections will be sent to client. The client will be smart enough to patch the received sections to appropriate sections. By default MDS feature is activated. In this article we have explored about Minimal Download Strategy. Now this also answers why the start.aspx is doing in SharePoint 2013. In this article we can explore OData examples for string method substring. Please note that we are querying against column named Title. The column name appears second after the value. You can now try a non-existing string. The result is empty XML packet. In this article we have explored OData examples for string method substring.